Are you a big fan of science fiction? Have you seen all the iconic sci-fi films and followed the many TV series? Do you know the names of all the famous characters from The Incredible Hulk to Catwoman? 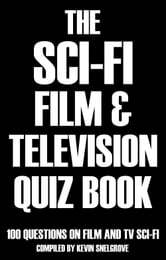 If you think you are an expert on science fiction why not test yourself with this new quiz book? Which husband and wife team created Thunderbirds and Space 1999? What is the name of Erin Gray’s character in Buck Rogers in the 25th Century? Which 2010 film won Academy Awards in four categories for best visual effects, sound editing, sound mixing and cinematography? 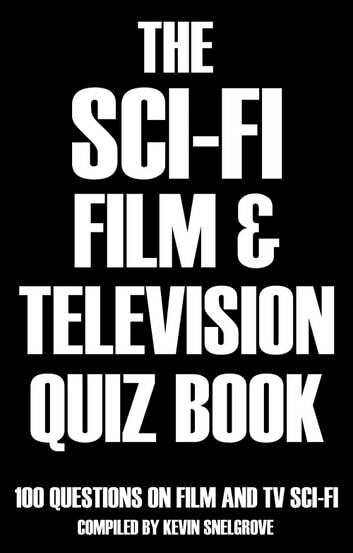 The answers to all these questions and more can be found in The Sci-Fi Film & Television Quiz Book. Science fiction remains one of the most popular and enduring genres in film and TV and has produced several classic titles and memorable characters. With 100 challenging questions on some of the all time great films and TV series past and present, this is a must-have book for sci-fi fans of all ages.